Apart from memories, your wedding photography and video will be what is left as a memento of one of the most important days of your life. 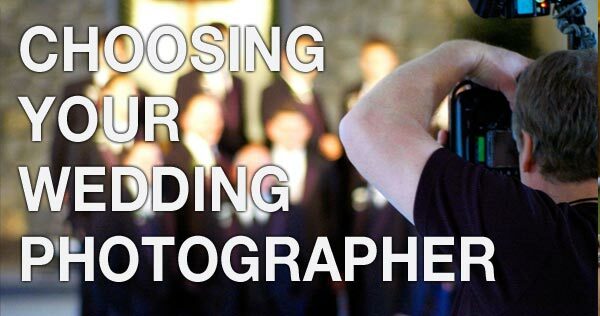 Thus choosing the right photographer for your event is of utmost importance. The following are some points you should consider when choosing your photographer and videographer. Make sure you review his/her portfolio; a real wedding album of another client would be best. What style does he specialise in? Is it formal, photo-journalistic, etc. and is it what you are looking for? Check in detail the photography / video packages available and whether they include service at the groom’s and the bride’s homes prior to the ceremony. Is a pre-wedding and/or post-wedding included? Will you be able to design your own custom package? Will you be able to provide a list of photo must-haves? What about group photos? What is the charging structure? Is it a fixed fee, an hourly rate or rather a rate per photo? What are the applicable overtime fees? Is there a minimum number of photos you will be obliged to purchase? Will you be bound to purchase all the extra photos which are shot, apart from the selected ones? Will you be involved in the choice of your photographs? How much do reprints and enlargements cost? What finishes are available (canvas, glass, etc.)? Will you be provided with digital prints or low resolution files for prior viewing of your photos, and when to expect these to be available? Is digital editing/enhancement of photos included? What about digital manipulation? It is important to note that Digital Manipulation is different from Digital Editing. An example of digital editing could be the enhancement of the colours of the photo, whilst digital manipulation could be the removal of a blemish from a face. Are high resolution photos provided on DVD and at what fee? If you will be opting for a traditional album, check whether you will be bound to purchase the album from your photographer or whether you will be free to bring your own. Is the fixing of photos in the album included? Will the Wedding Video be provided on a standard DVD, Blue Ray or any other format? Do you need any special equipment to be able to watch it? How will it be recorded; HD, Ultra 4K, etc.? How many copies will be provided and in which format? Ensure that copies will be in a format that can be viewed by the intended recipients, such as parents. When should you expect to have the final album / video ready? Will any of your photos and/or video be put on display in the shop, weddings fair or other events? Whilst many couples have no objection around this, it could well be that others, might feel uncomfortable. How much is the deposit? When is the remaining balance due? Will he personally photograph / film your wedding or will he send an employee or a freelancer? If this is the case can you see his work and ideally set up a meeting with him? How many persons will be present? You need to know this detail since it is ethical to provide meals to your wedding day vendors who will be present at your reception such as the photographer and videographer. Keep in mind that they will not have the ability to leave your reception and get a take-away! What is his backup strategy just in case he would not be able to make it on the day due to illness or any other unforeseen circumstances? Did you like this? Please ‘Like’ and ‘Share’ below.